Last December I posted about my ‘little project’ of creating free downloadable printables for motivating people to read more. I’m so happy that some people really print them and use them :) Some tagged me on the photos. In case you want to download them, the links are on the post. One day in January, a girl from President University contacted me. She told me that she and her friends are making a campaign to gain awareness in reading books titled ‘Bukumu Duniamu’ (Your Book Your World), Gerakan 1000 Buku (1000 Books Movement). 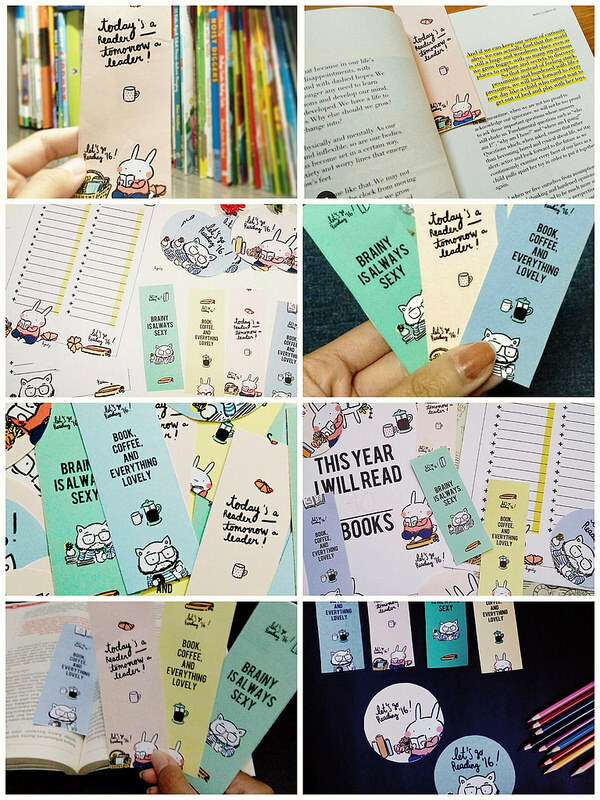 They have been collecting book donation (so glad that they give my printed bookmarks for those who donate books) since January 18 and they will make a little library in Desa Labansari, Cikarang Timur, West Java. 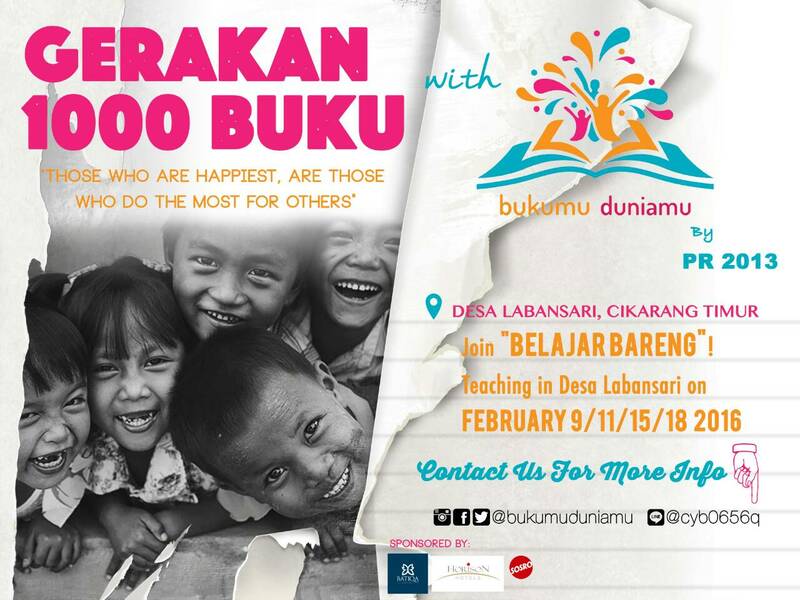 They will also have some events including teaching, sharing session, coloring competition for children, and other activities this February. Let’s spread the good actions! Let’s spread the words and the spirit!